Every man needs a wool blanket. Especially the ones created by Dianne Nordt of Nordt Family Farm in Charles City, Virginia. At the family farm, Dianne, along with her husband, raises a flock of Merino sheep on 400 acres. Their sheep produce fleece in a variety of natural colors, including white, tan, chocolate brown, black and gray. Dianne, "I also experiment with coloring the wool using natural plant dyes such as black walnut, indigo and coreopsis." 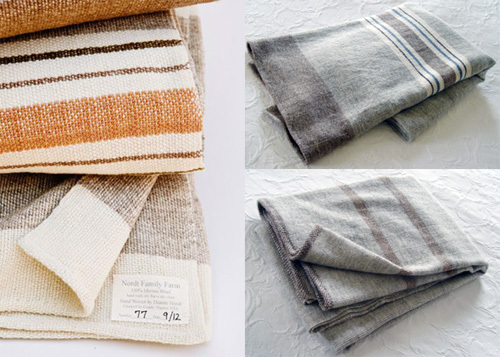 She expertly uses this soft, cozy wool to hand weave the blankets on her home loom. It's a labor of love which is quickly translated the moment you touch one. For Dianne, it's all about quality, not quantity- "I don't have aspirations to build up something big. I'm very content to make one blanket at a time." Dianne weaves about 85 blankets with each spring shearing. 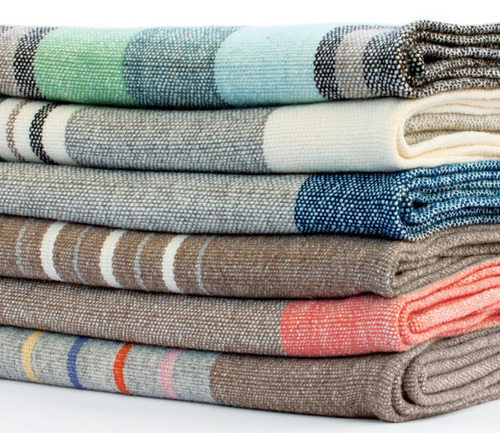 With a timeless design and incredible softness, these blankets will last a lifetime- and then some. 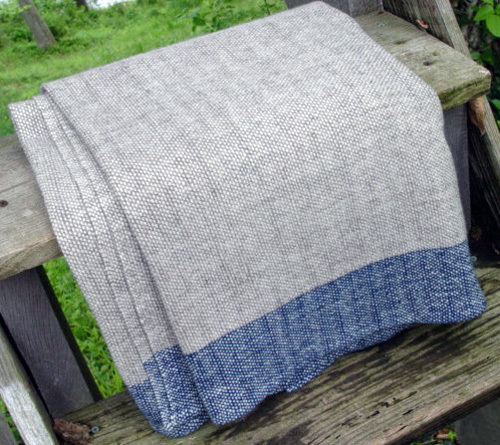 See all current wool blankets in stock, here.